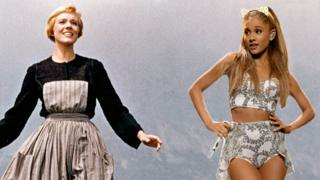 What connects Ariana Grande and The Sound of Music? Ariana Grande has agreed to pay 90 per cent of the money she makes from her song 7 Rings to the family of the songwriters from The Sound of Music. 7 Rings is a modern take on the song My Favourite Things from the 1965 musical. It was written by Richard Rodgers and Oscar Hammerstein II, and they own the copyright. Since its release in January, 7 Rings has been streamed over a billion times and it's hit the number one spot in the UK singles charts. Want a peek into Ariana's new tour? Here's a sweetener! In the past, music acts have got in trouble after not paying or crediting the owners of songs. Here are some of the most famous examples. 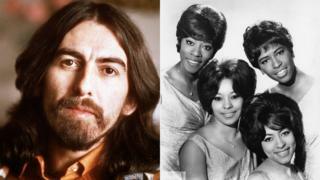 After The Beatles split up in 1970, each of the band members went off to pursue successful solo careers. George Harrison became the first one to hit the number one spot in the US charts after launching his solo career with the single, My Sweet Lord. The only problem with the song was that a girl group called The Chiffons claimed it had ripped off their 1962 track, He's So Fine. The court case rumbled on into the 1980s, and Harrison eventually had to pay just over £400,000 to the writers of He's So Fine. Owning a song's copyright gives the owner the right by law to control how a piece of work is used, produce copies of it and charge others to use it for a set number of years. In 1989, rapper Vanilla Ice released a song called Ice Ice Baby. 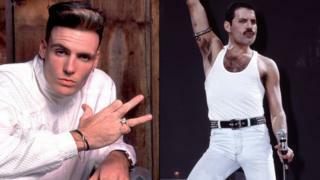 It had a really familiar sound to it and that's because Vanilla Ice had used part of the baseline from Queen's 1981 hit, Under Pressure. The problem was that Vanilla Ice hadn't asked for permission to use the song and Queen weren't very happy about it. They took him to court and they eventually settled the issue by getting millions of pounds. If you're a football fan, you will have heard of The Verve's biggest hit, Bittersweet Symphony. It's used on the title sequence of lots of England games and it's been used in loads of adverts. However, whenever it's used, it's not The Verve who are getting the money for it - it's The Rolling Stones instead. 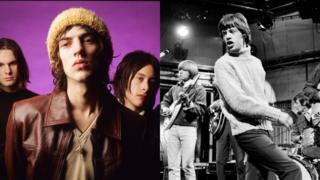 The Verve originally agreed with The Rolling Stones' management to use a part of the 1965 song, The Last Time, in return for 50 per cent of all the money made on the track. When it was released, The Rolling Stones management decided that The Verve had used too much of the 1965 song on the track and took the band to court. The credit for the song changed to The Rolling Stones, and they even ended up owning 100 per cent of all the money made on the track. 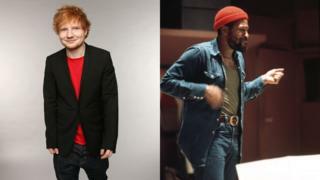 Ed Sheeran is currently waiting for a court to decide whether his 2014 track, Thinking Out Loud, has copied parts of Marvin Gaye's 1973 hit, Let's Get It On. If he loses the case, he could be forced to pay just over £75 million to Marvin Gaye's family. Sheeran called on the case to be dropped last year after saying that the similarities were because of the common beats in each song. However, his request was turned down by a judge and the case is set to be decided by a jury in September. Ariana Grande: Fifth album Thank U, Next is here - what do you think?